WHAT: SHOWTIME Sports delivers a behind-the-scenes look into the life and training camp of undefeated super middleweight prospect Junior Younan as he prepares to face fellow unbeaten Ronald Ellis in the main event of ShoBox: The New Generation next Friday, Feb. 2, live on SHOWTIME at 10 p.m. ET/PT from WinnaVegas Casino in Sloan, Iowa. Ellis (14-0-1, 8 KOs), of Lynn, Mass., and Brooklyn’s Younan (13-0, 9 KOs) will clash in the 10-round main event of a four-fight telecast that features eight fighters with a combined record of 113-3-3. 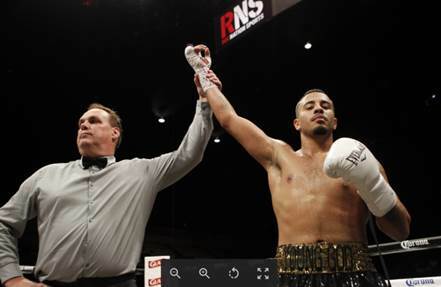 The Brooklyn-born Younan is a former amateur standout who was dubbed by The New York Times as “a boxing prodigy” as a 10-year-old. And while he’ll face the toughest opponent of his career on Feb. 2, he’s confident he has the pedigree and talent to become a world champion. “I love being in that spotlight, putting on a show and hearing the fans,” he said. “There’s nothing like it. I definitely think I can be the face of the super middleweight division.